Note: I was thinking of writing a proper essay on this topic, but I got bored with it, so I’ve posted a sketch here instead. So what might a theologian have to say about boredom? On the whole, theologians have harboured dark thoughts about boredom, and have tended to classify it either as somehow sinful or at least as a consequence of sin. In Either/Or, Kierkegaard famously remarked that “boredom is the root of all evil” (his argument is delightful: “The gods were bored, so they created man. Adam was bored because he was alone, and so Eve was created” – and so on). 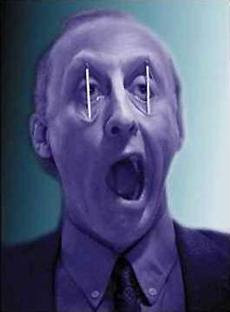 Jacques Ellul’s work, Violence: Reflections from a Christian Perspective (1969), identifies boredom – so “gloomy, dull, and joyless” – as one of the defining perversions of modern social life (p. 121). Ellul’s view here is close to that of Karl Barth, who similarly described “the signature of modern man” as neither serenity nor rebellion, but simply an “utter weariness and boredom.” In Barth’s view, “man is bored with himself,” and as a result “everything has become a burden to him” (Church Dogmatics III/2, p. 117). More recently, Graham Neville has offered a theological analysis of boredom in his book, Free Time: Towards a Theology of Leisure (2004). Neville advances the depressing thesis that “the nature of boredom … corresponds to the monastic sin of accidie or sloth” (p. 100), and so he urges us to overcome boredom, or at least to allow the sinful passivity of boredom to be sublated by the more constructive passivity of “wonder.” Neville’s all-too-obvious identification of boredom with the medieval sin of sloth is anachronistic, however, since the word/concept of “boredom” had no existence prior to the 18th century – as Patricia Meyer Spacks observes in her brilliant genealogy of boredom: “If people felt bored before the late eighteenth century, they didn’t know it” (Boredom: The Literary History of a State of Mind, p. 14). Here, the “semi-indifference” of boredom is linked to an essential theological truth about human beings: we are not reducible to our work; we always exceed any given task. Or as Agamben puts it elsewhere, boredom discloses the essence of a “simply living being” (see his essay, “Profound Boredom,” in The Open: Man and Animal, p. 70). Between our work and our being there lies a gap – and boredom names this gap. The image here of prelapsarian labour is simple, but astonishingly powerful. They are rowing to keep time in their song, not vice versa! They are really working – but they exceed their work, and the labour itself is simply a needless embellishment, a fitting but absolutely non-necessary improvisation of their existence. Or to put it more simply, their work is pure praise: the rowing of the oars simply forms the background rhythm of their song. In Agamben’s terminology, the rower in this poem is a “being-without-work” – he really works, but his work is superfluous, since he utterly exceeds it. But if Agamben rightly insists that human beings are irreducible to their work, he fails to note the (today more important) point that humans also exceed their leisure and enjoyment. If boredom names the gap between our being and our work, it also names the gap between being and enjoyment. At least in the affluent West, most of us would accept that life cannot finally be boiled down to work; the more sinister and more beguiling threat today is the reduction of life to enjoyment. In this late capitalist setting, the only absolute prohibition is indifference or boredom – or rather, the consumer-ideology itself generates boredom precisely in order to forbid it and alleviate it. The machinery of late capitalism thus functions like the medicine mentioned by Hegel: it is a wounding-and-healing poison which paradoxically “heals the wound which it itself is” (Lectures on the Philosophy of Religion, III, 55). We are always bored, and always being (forcibly) rescued from our boredom. So just as a society which reduces life to social utility will prohibit boredom vis-à-vis work, so too a society which reduces life to enjoyment will prohibit boredom vis-à-vis leisure. If, at times, a truly radical resistance can only take the form of passivity and non-participation, then is it possible that boredom itself might be a crucial site of resistance today? As human beings, we are always in excess: we exceed our tasks, and we exceed our enjoyment. There is always a gap between my “works” – what I do, what I enjoy, which market niche I identify with – and my humanity. To be bored – without immediately seeking to transform that boredom into either productivity on the one hand or enjoyment on the other – is to hold open this gap, and to resist participating in its insidious closure. 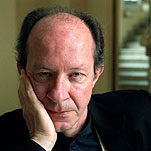 To face both work and enjoyment with what Agamben calls a “creative semi-indifference” is, today, the gesture of the human being who stands before God and is recognised by God – the human being who is no longer under the law (neither the law of works nor the law of enjoyment), but under grace.